Quick note …. This is going to everyone I know on three continents. Please forgive me if at times this seems rushed, disorganized, incomplete or hard to understand. I only decided to do this last Thursday the 9th, and indeed rushed it out the door. Time is of the essence. Be aware that everything here is by necessity, a broad simplification. More will follow. I can only hit the most essential high points. Please make the time to read this, and follow it with ACTION. "So just what is this all about Henry?" "OK Hank … so what's this Plan S already?" "So why this big deal over Personal Development and 'Impossible' Henry?" "But Henry, You're Nuts! That's IMPOSSIBLE!" Is This The Great Depression Revisited? "Impossible You Say? Check out John Harrison!" Logically, this section on taking ACTION, would go down at the end. Unfortunately, some people are never going to get there. Since this is the most important section, I thought I'd put it up top. You can always come back here at any time. If you want a quick start, I'd suggest you look thru the Contents above and then skip right on down to the last section: The Solution: A New Global Economy. The rest is supporting material. I just spent a week writing these 19,000 words. What started out as a letter has turned into something more like a mini-book or research report, on how we can all come together for a sustainable future. Knowledge and plans are important, but we need massive ACTION, to see results. So I'm inviting you to read this and then to help in whatever ways you can. This paper is based on five years of research. I'm providing it for free, since this information needs to be spread quickly and widely. I'm one person and can't continue this work alone. I'm asking for your help. If you find Plan S, a resource based economy, and a new way of thinking valuable, this is your chance to make it a reality. Thank you for your support of Plan S, and our sustainable future! This was rushed out the door due to the market crash, and I haven't put together a budget with specific goals yet … that's coming. Plan S will ultimately require millions. It will move along just as quickly as support arrives. Please send what you can, and be generous. I've already put everything I got into this, and am borrowing to keep going. I will gladly accept contributions of any amount … even $10 helps. 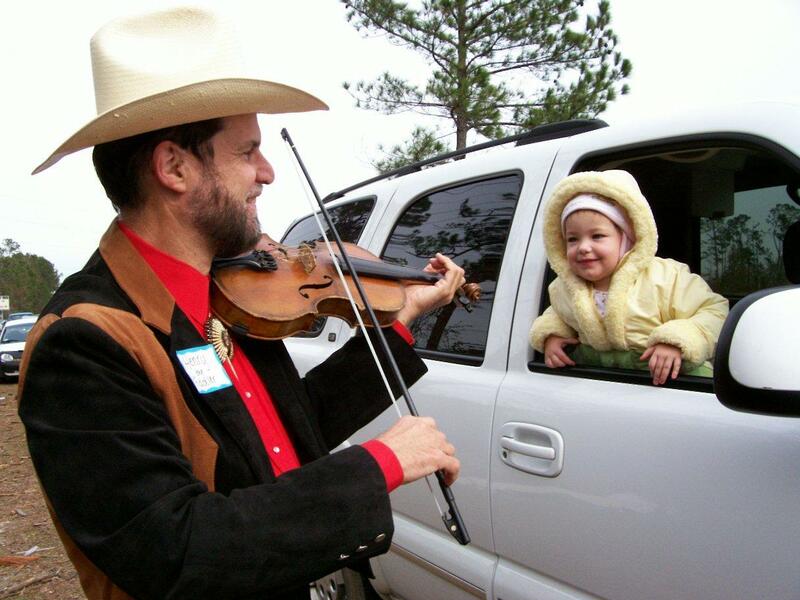 For contributions of $100 or more, a tax deduction under IRS section 501(c)3 is available. Plan S is sponsored by the Heartland Coalition's UnitedGREEN. Click here to let me know what you'd like to do, and I'll send instructions. 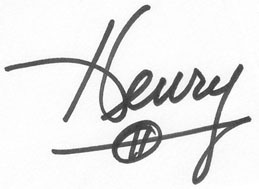 For contributions under $100 (or if you don't need a deduction), please send a PayPal to henry@htfiddler.net. If you'd prefer to send a check or money order, please make it payable and mail to Henry T Fiddler, 8795 Ralston Road #237, Arvada, Colorado 80002. Here is the title and link to this page. This is the link you should send, so your recipients can choose from the alternative document formats provided. Spread these links to your friends and distribution lists. Put these links on your web pages. Let me know so I can return the favor, and so I can keep you informed if URL's change. The most critical needs are for project management and fundraising. If you or someone you know has professional skills, and can work at a reduced rate, let me know. When funds become available, I'll consider hiring you. If you just want to say hi, discuss any of this, ask questions, provide feedback, tell me you read it, tell me what you did or didn't like, tell me you'd like to help (but can't quite figure out how), let me know about broken links, misspellings, grammatical errors or other technical issues with these pages, cry on my shoulder, ask for my help with your project, or anything else that crosses your mind, please feel free to call or email anytime. Phone: If you received an email with my phone numbers, the best times to call are after 8:00 PM mountain time on week nights, or all weekend. If you don't have my phone number, I don't publish it online, but send me an email and we can arrange a time to talk. Events of the past few weeks are unprecedented in our lifetimes. Ever since Rachel Carson wrote Silent Spring in 1962, we've been bombarded by constant messages of impending doom due to climate change, overpopulation, peak oil, species extinction, several financial bubbles, and hundreds of others. One of these messages of doom was Y2K, which came and went with barely an incident. But somehow, things feel different this time … very different indeed. We've all heard tales of 1929, but none of us have lived thru such challenging times. This message is the most important of my life. This is a time to take off whatever hats and masks we might be wearing, and to tell our deepest truths to one another. This is my contribution. I hope that this paper will start a deep conversation and that it will spur massive action. I am not speaking to you as an entertainer or a computer consultant. Regardless of how we met, or in what line of work or play, I am writing as a fellow human. We are all in this together, and now that everyone is wide awake, it is time to come together and face these challenges. I am writing with great hope for the future and with a plan of action. I am not an optimist or a pessimist, but a realist. I will limit the doom and gloom, and focus on positive solutions. The key word I want you to remember is ACTION! If I can spur you to take action, then I will have accomplished my goal. This was sent to hundreds of people across several countries in three continents. Since music is known as the universal language, I can assure you that you are a very diverse bunch. This is going out to Democrats and Republicans, liberals and conservatives, rich and poor, hippie and straight, young and old, informed and uninformed, religious and scientifically minded, male and female, Christian, Jewish, Buddhist, New Age, Scientologist, Atheist, Secular Humanist, and people of many occupations and walks of life. Some of you hear from me every week, and others haven't heard from me in 10 years. Some of you I've met in the last 2 months and others I've known for decades. I cannot write 100 versions. I must write one time for everyone. There is a lot of information to convey, since the situation is extremely complex. Some of it you will already know, some you won't. Skim over the stuff you're already familiar with, or that you're finding difficult to understand. Remember that others are just learning these things. Please be tolerant and understand that most readers are different than you. And please remember that even though we are different in many ways, that we all share one human genome, with 23 chromosome pairs that carry about 25,000 genes at last count. We have all shown up here with the same basic blueprint, and we're all genetically related. With that said, please understand that I must talk to everyone at once. You will not see me waving an American flag here, since this is going out to Australians, Russians, Britons, Czechs and Germans too. I will not be rooting for Barack Obama, since this is going out to Republicans also. And I will not be praying for God's help, since this is also being read by humanists, atheists and pagans. It is important for me to show up here and speak in a voice that the widest audience might understand. This is indeed about YOU, but most of all, it is about US. This doesn't mean that I don't love my country, or that I don't live a spiritual life. What is does mean is that I must be deeply respectful of the many beliefs and lifestyles of my family of friends I have come to know across this tiny planet. I've been a futurist and sustainable living hobbyist for 40 years. I've been working intensively on Plan S for about 5 years. The "S" stands for sustainable, stable, solar, etc. Just this year I've finally been getting Plan S organized enough to put on the Internet. I created the first version just a few months ago in June, 2008, but it's pretty raw and disorganized at this point. Plan S is a huge undertaking and I need help ... your help! I've been working on a mailing that I was planning on sending out around the first week of November (that's why some of you got a recent change of email notice). However with the huge crash in world financial markets last week, I realize that this cannot wait. As I write these words on Friday night (8 Oct 08) there is some indication we may have reached bottom, but who knows? Things are so crazy and volatile, it's anybody's guess what the world will look like in a week, much less by early November, when the USA will be electing its next president. Plan S is a plan for a complete paradigm shift for humanity. I didn't write this paper to explain the whole plan. I'm just getting started on that over at my Plan S site, and there is lots more to come. What you are reading now is focused on the money and economics portion of Plan S. It is just the tip of the iceberg. There is no way to know when the other shoes may drop as this collapse unfolds. Gas lines … heating oil inventories … bankruptcies … I could go on, but I'll stop since I'm trying to focus here on solutions. This is a time for bold action, not complacency. Earlier I said this is a time to tell our deepest truths to one another. In addition to the external world collapsing all around us, I also need to share a number of things that are going on in my personal life. This is my 60th trip around the sun. I'm starting to have some health issues, and I have no descendants to pass everything on to. I'm referring to both stuff and knowledge. I don't know how long I'll be here, and I'm eager to begin the process of passing along, before it's too late. We're all here for a short time, and I recognize that my time is getting short. You may not agree with my analysis here. I'm human and will make mistakes. You may have knowledge that I lack, and which we all need. That's fine. The point is to get the conversation started. In the meantime, I need to lighten my load. Even if you disagree with my analysis here or my plan of action, you may be able to help out by taking some of this stuff off my hands. I'm looking to move material objects that no longer serve me, out of my storage. I can hear you chaffing at the bit already! As much as I'd like to just lay it all out in 10 minutes, that won't be possible. We're talking about a plan with thousands of details, and 5 years in the works. If you absolutely have to dive into the nitty gritty or see the extent of it, just click on over to the Plan S page and have a quick look around. If you spend 10 to 15 minutes and open some of the files over there, you'll at least get an understanding of the scope of the plan. You will also understand that this is not just some fly by night brainstorm. It is well thought out, broad, deep, and detailed in scope, and it is in writing. This is about that new way of thinking that Einstein and Fuller speak of. This is indeed one gargantuan paradigm shift. Before you can understand the solution, a good grasp of the problem or underlying causes is required. In this paper I intend to focus mostly on the causes and also on providing hope toward a sustainable future. This most recent upheaval in world markets is just the latest in a long series of upheavals that can easily be traced all the way back to World War I. I can even take it back to events in 1648 (I'll spare you for now). In the last 5 years I've learned a whole slew of things that are almost totally unknown by the lay public, and mostly unknown by the few power elites who are running the world. And there is one thing I have to share that no one seems to be aware of, at least I haven't found anyone yet. It has to do with what is possible and what is impossible. By the way, for those of you already flashing on the Zeitgeist Movie, conspiracy theories, or The World Order, Plan S is certainly aware of these and does comment on them. The power elites are not seen as evil, but rather as people like us who are highly uninformed. Plan S works to inform them and integrate them in the important work of paradigm shift. This is not about us-them thinking. The new thinking is just us. 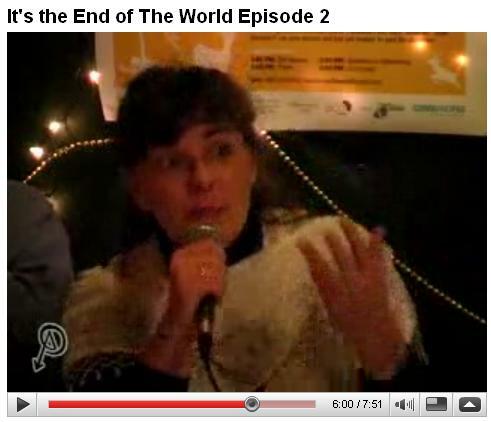 My purpose this weekend is not to tell you how Plan S is going to save the world or lead us into a sustainable future. That will come later. First, I want to explain the most important things I've learned over the last 5 years. These are the things that will help you to understand what is really going on, that the talking heads and mass media will never tell you. And the reason they won't tell you, isn't because they're being secretive or deceptive. A lot of it is because they simply don't know. This is a prerequisite to understanding Plan S. It may also help you to sleep at night. So, here we go! just to name a few. So haven't we been taking this thing seriously and getting better? Indeed we have my friends, and we deserve to pat ourselves on the back for these highly successful efforts that have paid off. But there's another view we need to look at. For every 10 steps humanity has taken forward, we've taken 100 steps backwards (just a rough guess-timate)! In fact, I maintain a list of problems, and it is running somewhere between 500 and 600 at the moment. The list is on one of the pages over at Plan S. If you really want to wallow in doom-and-gloom-land click here and search the page for sab.txt. It's totally unedited but you'll get the picture. So as a realist, we need to ask why we're doing all these positive things, yet on balance we're getting such negative results. You see, I love to solve problems, and the bigger, messier, and more impossible ones are the ones I like the best. I enjoy LARGE challenges. This seems like an important question, doesn't it? What we need to do is reverse that score, by taking 100 steps forward and only 10 backward. My analysis shows that the reason for this positive action, but overall negative results, is that our species is uninformed regarding the basic laws of our universe, our planet, our bodies and most especially, our brains. Since we don't understand these basic laws, we routinely violate them. When laws are violated repeatedly, there are negative consequences, and these are sometimes rather dire. This is of course a simplification. There are a lot of details I'll have to leave for later. The important word here is uninformed. Our universe didn't come with user manuals. We've had to figure it all out on our own, and we simply don't have all the basic laws figured out yet, so we keep violating them. It's not that we're ignorant, stupid, crazy, bad, evil, or delusional. We're just uninformed! To state that another way, we are severely lacking information since we arrived here with no user manuals. I have intentionally chosen the word uninformed, and use it extensively in Plan S, and in this paper. I will explain shortly that it's important that we use language and thoughts carefully, since they program our brains. It certainly doesn't serve our species' quest to improve, to continually engage in self put down and negative criticism. In other words, hacking at the leaves is like focusing on the symptoms of a disease. Treating symptoms never solves problems in the long term, since the problems grow back, just like the branches and leaves of a tree. To remove the tree, we have to strike at the roots. Much of my research these past 5 years has been in sleuthing out the root causes for all these problems we face, and I've hit pay dirt. Without understanding these root causes, no effective solution, plan or action is possible. In fact, Thoreau really hit the nail on the head here. For 40 years, humanity has taken a whole lot of action, and it's all been what he calls hacking at the leaves, or dealing with symptoms. Friends, if I hadn't found this stuff I'm going to share with you right now, I wouldn't be wasting my time and yours. You see, without it we would definitely be doomed to continue this unfortunate pattern of 10 steps forward and 100 steps back. As we dive into this, you may feel a wide range of emotions. I know, because I've already felt them myself, literally hundreds of times. On one hand there is exhilaration at finally understanding what is going on here. Some of it is really quite fascinating, like the inner workings of a fine Swiss watch. There is a real sense of power when root causes get illuminated and understood. On the other hand you may feel sadness at the serious challenges we face, and the extent to which humanity has innocently screwed up, all due to a dearth of information (no user manuals). Most of all though, this will be overwhelming. We are a very young species, and for all our masses of information, we are still quite uninformed in terms of how our world really works. Also, due to the complexity of some of the underlying concepts here, you might not understand everything right away. That's fine. I didn't either. We can all wish there was a nice leisurely 5 years (as I have taken) to soak this all up. It really takes a while to settle in. Please affix your PMA (positive mental attitude) cap firmly to your head before diving in here. Take breaks. Read, re-read, and ask questions. Feel free to bypass all these preliminaries and under the hood stuff, and skip right on down to the Solution section at the end. Certainly our brains and how we use them must be an important root cause of humanity's problems. This seems so obvious to me, and yet very few people realize it. Think of it this way. If we all had brains like other animals, we wouldn't have most of these crazy problems, would we? This realization, has caused me to focus my research intently on the human mind (brain and mind are synonyms here). I figure if we can understand how our brain works and how to use it correctly, maybe we can stop creating so many problems, and even solve a few. Personal Development (abbr. P.D. ), is one of three brain-mind disciplines. The other two are Evolutionary Psychology and Neuroscience, which I'll discuss below. Information on how our brains work has really exploded in the last few decades. This is all cutting edge stuff folks. This is where we must start, since without P.D., we would really be sunk. All the other root causes, when studied in depth, lead to one inevitable conclusion: we're screwed and there is no way out! I should know since I've been studying the collapse literature for 5 years. In fact, if it weren't for P.D., I wouldn't be writing this right now. Lately I've been feeling a lot like a fellow named Wallace Hartley. He was the violinist that led the band on the deck of the Titanic as it sank. In fact, about 14 years ago I was playing my violin on the stages of Holland America's cruise ships. Fortunately none of them sank and I'm still here so I can write this! Anyway, I'm not doing as much entertaining these days, as I think working on Plan S is a little higher priority. But if not for P.D., I would just keep on fiddling as Rome burned J. I would simply return to the stage of a sinking ship, and await the inevitable. For those unfamiliar with P.D., you probably just know it by one of its many other names, like personal growth, self help, self actualization, success, sales training, motivational speaking, positive thinking, etc. There's even a whole megabucks industry called guess what … the Personal Development Industry (P.D.I.)! The most popular celebrity P.D. motivator is Tony Robbins who is often seen on late night infomercials, and good old Zig Ziglar is not far behind him. Now, if you're sitting there shaking your head, and thinking that I've lost mine, I'm not surprised. Indeed, many of these motivational speakers project a con man sort of personality, and unfortunately the industry has had at least one scandal that I know of. It has especially taken a hit since The Secret came out recently. You may also wonder what in the hell this has to do with sustainability. Don't worry. I'm OK, and will explain. Earlier I wrote, "And there is one thing I have to share that no one seems to be aware of, at least I haven't found anyone yet." Well, here it is. Napoleon Hill tells us, "Whatever the mind of man can conceive and believe, it can achieve." Tony Robbins wrote a book entitled, "Unlimited Power". Are these P.D. authors telling us that anything is possible, and nothing is impossible? Sure sounds like it, eh? Virtually every motivational speaker will tell you that you can be anything you want to be if you set your goals and take action … that there really are no limits. I've explained that based on all my years of research that the future looked pretty bleak for humanity. There's an abundance of doomy gloomy messages littering the landscape, and we've all run across many of them. I mean, the logical conclusion one comes to after intense in depth study, is that there's no way out of a serious collapse and dieoff of 90% of the population, and a hot planet left in ruins. The problem with these messengers is that they miss the incredible power innate in the human mind. Over many millennia, human minds have solved thousands of problems, once thought to be completely unsolvable. I mean heck, we've even landed on the moon and built a space station. So I've incorporated this logic into Plan S. We may have huge challenges as a species, but if we set goals and take action, we can solve them. After all, anything is possible ….. right? Well, a funny thing happened a couple years ago. I started talking about things that were totally impossible to my friend Rusty. Rusty stopped me and reminded me that I'd previously told him that anything was possible! Well, at that moment I realized I had a serious conflict. Certainly some things are possible and others are not, but how can we tell the difference? After thinking about it for a while, I came to the realization that it all has to do with the natural laws of our universe. By this I mean laws like the law of gravity, or 1+1=2. What I concluded is that things are possible, as long as they don't violate naturals laws. Conversely, things are impossible, if they do violate natural laws. This second one is what the P.D. folks frequently omit or gloss over, since it doesn't help sell their products! Now, lets look at some examples that apply to our present situation. Bear in mind that these will be greatly simplified and I'm not going to provide supporting links at this time. Example 1. Prediction: We are doomed. There's no way around a total collapse and dieoff of 90% of the population. Civilizations always exhaust their resource base, and collapse, and history proves this time and again. Response: Certainly the outlook appears bleak, especially if we look at the historical record. However, there is no known natural law that prohibits us from learning how to live sustainably within our means. This isn’t to say it's going to be easy. It just means it is possible. Example 2. Prediction: If we would just stop fighting these stupid oil wars and develop renewable energy sources like solar, wind and hydrogen, there would be plenty of energy for everyone! There is enough solar energy falling on our planet daily to run it for a year! Response: These kinds of statements may be true in theory, however after applying known energy laws, humanity is going to have to acknowledge that there are real limits to how many people the earth can support. This is known as carrying capacity. We know that the earth's carrying capacity is at least 500 million people, but it may not be much more than that. So in order to live on renewables, we will need to reduce our population from 6.7 billion to around 500 million. This represents a 92% reduction. It is simply impossible for the earth to support our present 6.7 billion, much less 10 to 15 billion people on renewable energy sources. I will explain more about this in the energy section below. My point here is that we really need to be careful when using the words possible and impossible. These are tricky words and as we learn to think in a new way, we must use them both wisely and intentionally. Personal Development teaches that the words and thoughts we speak, hear and allow to enter our minds, programs them. Therefore, it is very important that we choose them carefully. Finally, our species hasn't been obeying the natural laws of the universe for a number of reasons. The most obvious reason is that we've been uninformed. The other major reason is explained by Evolutionary Psychology, which I'll get to below. Regardless of the reasons, when we violate natural laws, we end up facing the consequences. Or, I can put it another way: When we try to do the impossible, eventually there will be hell to pay! The universe cuts us no slack just because we were uninformed. Actions do have consequences. Once we learn what the natural laws of the universe are and start living by them, we will be well on our way to living sustainably. As a realist, I'm acknowledging big challenges, and also that which is positive and hopeful. Now, I get to show you why Personal Development (P.D. ), and what is possible and impossible, are so important to our species. P.D. teaches over and over that what we put into our minds creates our reality. Thoughts create. We tend to become what we think about. Does any of this sound familiar? We know these things, but easily forget and allow thoughts into our minds that hold us back and cause defeat and failure in our lives. This happens at both the personal level and also at the species level. We need only look at the thoughts blaring from our TV screens and newspaper headlines this past week to see this very destructive dynamic at work. In 1895 one of the world's greatest scientists, Lord Kelvin stated, "Heavier than air flying machines are impossible." What if the Wright brothers had allowed this great scientist's thoughts to affect their plan to do what the world believed to be impossible? Just 8 years later, the brothers flew at Kitty Hawk. Sir Isaac Newton, one of the world's most famous scientists of any era, and other prominent scientists, doubted that a clock could be used to navigate longitude at sea. What if John Harrison had allowed these doubts to affect his work? In 1761 Harrison's H4 clock came within one nautical mile of accuracy. There are some links and a video clip about this below in the section, "Impossible You Say? Check out John Harrison!" We are surrounded by messages of doom, gloom, collapse, crashes, and on and on. We have been failing as a species, taking 10 steps forward and 100 steps backward. We can look back over dozens of failed civilizations throughout history. The outlook for many people is bleak. I am providing Plan S as an alternative to this doom. It is a plan to put our species on a sustainable course, and I need help working on this plan. I cannot do it alone. It is not going to be easy. It has truly looked impossible on many occasions, and I have thought of giving up on Plan S … which in effect would be giving up on humanity, which includes all of you! I think, "But I am a member of this species, and I have all these friends that I love and care about. I cannot give up on us!" So I pick myself up and keep going. And one of the ways I get strength to continue, is remembering all of these great people who refused to give up while facing impossible odds. I also find strength when I think of all of you. our species from living sustainably! The only thing that can defeat us is our collective minds. Please keep close tabs on your mind in the coming weeks and months. Remember how the Wright Brothers, Edmund Hillary, Tenzing Norgay, Mohandas Gandhi, Roger Bannister and Ernest Shackleton used their minds to overcome extreme adversity. If you allow a belief in impossibility to take over your mind, you will surely add one more vote to making impossible a reality. And if you hold a belief in possibility, you will add one more vote to making possible a reality. I've explained that we need to find the root causes of our problems and stop trying to fix symptoms, which bounce back. I've explained that the primary root cause of our problems is our brains, and I've identified three brain-mind disciplines. The first of those three is Personal Development. The other two are Evolutionary Psychology and Neuroscience. I've lumped them together here, since I want to get through this, and I know you do too. After 5 years of study, I am 100% convinced that we now have enough information from these three to create a comprehensive user manual for our brains. We can then start operating our brains to support a sustainable future, and to think in a new way, as advised by Albert Einstein. Evolutionary Psychology (abbr. E.P.) is the newest brain-mind discipline. It explains that our innate human nature is largely governed by instinct and is under genetic control. This is best described in Timothy Miller's book, How to Want What You Have, © 1996, Chapter 3: Human Nature. Amazon and your library have copies. I also have a 48 min. audio mp3 available that you can request by email. The term Evolutionary Psychology was only popularized in 1992, so it's only been around for 16 years, and is therefore largely unknown. This is where we learn about our DNA, and natural selection, and specifically how gradual changes over millions of years have formed what we call human nature. Most of what we do to destroy our environment, overpopulate our planet, use up our non-renewable resources and hundreds of other bad things, is done unconsciously. We can blame it all on our human nature. E.P. explains the genetic basis for dozens of our behaviors like greed, war and altruism, to name just a few. E.P. is both new and controversial. Many of its tenets are hotly debated. My personal opinion is that it provides essential insights into why our brains have caused hundreds of contemporary problems. These insights are used continually in Plan S to both understand our problems and to point the way to solutions. E.P. can easily be used to promote the belief that our civilization is genetically pre-programmed to collapse. It is the basis of the famous book by Richard Dawkins, The Selfish Gene. And it underlies some of Jay Hanson's peak oil website, www.dieoff.org. I am well aware of these negative spins, based on E.P. E.P. can also be used to understand our genetic tendencies, so that we can take steps to counteract the most damaging ones. This is how Plan S uses E.P. It all has to do with understanding how our brains work, so that we can use them to our best advantage. This is a classic situation where the attitude of the observer is everything. You can see the cup half empty or half full. It's your choice. Let's move on to Neuroscience and our limbic systems. The modern study of the brain from a medical and scientific perspective is about 100 years old. While most of neuroscience doesn't have any bearing on Plan S, there is one very important structure in our brains called the limbic system. It includes sub-structures called the amygdala, hippocampus and hypothalamus. The limbic system in general and the amygdala in specific are known as an important factor in our emotions, and some authors even go a step farther and allude to our spirituality. I've seen many references to the limbic system in relation to emotions. At least one prominent Neuroscientist, Dr. Rhawn Joseph has gone a step further and suggested that humans are Hard-Wired for God. According to this article, he "believes there is a neurological, even genetic, explanation for religious belief and spiritual experience." If this is new to you, or seems like a stretch, try this Google search. If you're one of my humanist, atheist or pagan friends, I understand and respect your beliefs. Before I lose you on this one, let me speak a little about religion and spirituality, and then I'll have some comments directed specifically to you. Plan S recognizes the important contributions of both science and religion. These two approaches to knowledge are essential to our sustainable future. Unfortunately these two have been at each others' throats for centuries. Recently however, this gap is being bridged more and more. Scientists in both Evolutionary Psychology and Neuroscience are explaining and confirming the connection. The Clergy Letter Project is building the bridge from the theological perspective. Over the past 200 years, the happiness pendulum has made a wide swing away from the spiritual plane, and into the material plane. In the process, most of us have become used to and even addicted to our material comforts … our stuff. I'm sure most of you will agree that our deepest happiness and fulfillment doesn't emanate from our stuff, but from each other, and our relationships with our pets, other creatures and the natural environment. We learn from people who travel to the third world and developing countries, that once basic needs are met, these people are just as happy, if not happier, than we are! They simply fill their lives with more spiritual experiences than material ones. This is yet another aspect of thinking in a new way. That happiness pendulum is starting the swing back to the spiritual plane. In Plan S, we welcome this return. We understand the importance of both science and religion and realize that we need it all, as we build our sustainable future. Now, as promised, here are my comments to my humanist, atheist and pagan friends. You all come equipped with limbic systems and amygdalas, just like the rest of us. You experience emotions and the wonders of the natural world, just like the rest of us. The paths and beliefs you have chosen, away from traditional beliefs in a higher power, are your right, and they don't conflict with anything Plan S advocates. In your case, you may find happiness in your personal relationships, in a sunset or a hike in a forest. Or perhaps you may find happiness in rituals with like minded friends, or in music or dance. There are thousands of ways we can all find rich experiences outside of the material plane. As individuals, regardless of whether we believe in traditional Gods, non-traditional Gods, or no Gods at all, E.P. and Neuroscience can help us to understand how we arrived here as we did. They can help us understand the transition we must make to finding happiness and fulfillment outside of our worlds of material stuff. Well, believe it or not, that's all I'm going to say about our brains. Done with that! We are now on to the next root cause of our problems. This is also going to be essential to understand before I can explain what's happening with the meltdown of the world's financial markets these past few weeks. We've all grown up in an era of cheap and abundant energy, provided courtesy of plentiful supplies of fossil fuels and uranium. These supplies have made modern industrial civilization possible. We've grown up taking massive quantities of energy for granted. We've also taken for granted that these supplies would continue to increase forever. As most of you know, this short era is coming to an end. It has lasted a couple hundred years. We've lived our entire lives during this era, and we know nothing else. Because we've taken it for granted, most of us have forgotten whatever we might have learned about the laws of energy back in high school physics class. We just flip the switch or pull up to the pump, and away we go! As you can see, the price ranges from 11 cents/gal. in Venezuela to 18.40/gal in Sierra Leone. To understand how this works, it’s necessary to detour a bit to H.T. Odum’s useful concept of emergy, or embodied energy. Very roughly, emergy is the total amount of energy needed to produce a good or provide a service, including all the energy and material feeds that went into making the good or service available. A coffee cup sitting next to your computer, for example, embodies the energy needed to mine and process the clay, provide raw materials for the glaze and compound them, fire the kiln, and ship both the raw materials to the factory and the finished cup to you. That amount of energy is the emergy cost of the cup: without that much energy being used, you can’t have that cup – or at least you can’t get it in that way. Earlier, I gave an example about all the solar energy falling on the earth, and how it is impossible to support 6.7 billion humans on this energy budget, contrary to popular belief. The reason has to do with what Odum calls energy transformity. When the sun shines, we get highly dispersed energy. You can't pour sunlight into your gas tank or hook it up to your power meter. Unlike fossil fuels, it must first be compressed and changed into a usable form. To help you understand how much compression is necessary, think of the photosynthesis process that plants use to grow. Then click on this link. As you can see, there is wide agreement, that it takes around 98 tons of ancient plant matter to make a gallon of gasoline. This is a great example of what energy transformity means. This explains in part why the earth has a limited carrying capacity. Back in 1650, before humanity started using fossil fuels and uranium, the earth's population was about 500 million. So the earth has proven to us that its carrying capacity (with no fossil fuels or uranium) is at least that number. To start to understand emergy (embodied energy) you can start looking at the more complex material objects in your life … a computer, a car or a washing machine for instance. Think about all the different kinds of parts and materials in that object. Now take it a step further and think about where these materials came from on our planet. They had to be mined or harvested by some combination of humans and machinery. They had to be packaged and shipped. Think about the shipping by container, ship and truck. There were probably several factories along the way. These factories all had to be built and staffed by workers. They must be climate controlled and maintained. Then the finished product had to be packaged and shipped to a warehouse, and from there to a retailer or distributor. But we're not done yet. In order for you to own this material object, roads and often airports and aircraft had to be built and maintained. A variety of security screens may have been done along the way, especially at container ports. Is there anything we've forgotten? Yes! What happens to this object when you no longer want it, because it becomes obsolete? It must now go to a recycling center or salvage yard where more energy is used to take it apart or crush it and melt it down to be reused in the world's industrial economy. You might also try this with something simple, like a cheese sandwich or a chair. This is a new way of thinking folks. During our cheap energy days, this kind of thinking wasn't required. What you just read is called an emergy analysis. This analysis follows goods and services from cradle to grave (or hopefully, the next cradle). We start learning about our real energy footprint. This footprint must be drastically reduced for humanity to live sustainably. And while we're thinking in this new way, it is important to remember that while we are reducing our sense of fulfillment from material sources, we are increasing fulfillment from spiritual sources. Howard Odum and his wife Elisabeth wrote a book in 2001, A Prosperous Way Down. It contains extensive information about emergy and transformity. This is one of the most important books I've read. There are many copies in libraries. I read every word of this book, since every page is chock full of important information. If you are looking for hope, this is a great one. The crucial thing to remember is that it must be followed by ACTION! You will recall I explained this paper is going to a diverse group. I'm sure that many of you are already years into an understanding of peak oil. In that case, just skip this section. 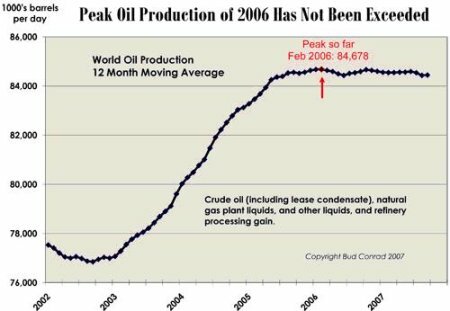 For those of you who are not, peak oil is yet another root cause of our problems. It is deeply intertwined with and underlies our energy and financial problems. Since peak oil is widely perceived as the boogie man under the bed it is often not even mentioned. I guess some people still think that if we ignore a problem it will just quietly go away. Others may not mention it because it's politically risky. Two recent documentaries on climate change, An Inconvenient Truth, and The 11th Hour, were completely silent on peak oil. Peak oil is a much greater immediate threat to industrial civilization than climate change. I'm not trying to belittle climate change. They're both very important issues. 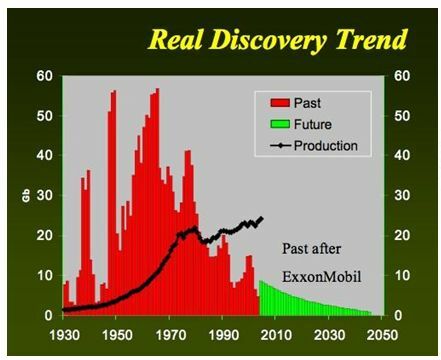 Peak oil will have abrupt and greater effects in the near term (the next century). Climate change's effects will be felt much more gradually, perhaps over several millennia. Wikipedia's Peak Oil article states, "Peak oil is the point in time when the maximum rate of global petroleum extraction is reached, after which the rate of production enters terminal decline." I can't argue with this definition, and it's typical, however it doesn't explain why. So here is my definition: "Peak oil is the point at which the earth is unable to produce oil at a higher rate, regardless of demand." We got there in February, 2006 at about 85 billion BPD (barrels per day). So it appears that we have already passed the world peak. I realize this is all a far fetched abstraction for many of you. So let's take an example from daily life that everyone can easily understand. We've all dropped a can of soda pop or beer and then pulled the tab without waiting long enough for the pressure inside to subside. At first the pressure in the can is high, and we get a gusher. The same thing happens at an oil well … pop the lid and the oil comes gushing out. But soon, the pressure subsides and the bubbles are all foaming around the top of the can. Next, we are sipping the liquid off the top of the can, as pressure decreases even more, and we can safely do so without getting drenched. Then, for a period of an hour or so, the bubbles remain inside the can and we can enjoy the carbonation. Finally, if we don't drink up right away, our beverage goes flat, and we lose interest. The key concept here is pressure. Pressure in oil production is the key factor. Oil is under pressure in the earth, While not exactly the same, it's similar to the carbonated beverage example. Pressure declines over time. Once the carbonation in our beverage starts to decline, we cannot coax it to increase by wishful thinking. The same is true for oil. We are not running out of oil folks. Huge amounts of oil will be in the earth long after we are gone. But the pressure will get so low, and we will have depleted the supplies near the earth's surface, to the point that it is no longer possible to bring the oil up out of the ground. This is because it would take more energy to extract a barrel of oil, than the energy contained in that barrel. This is one of those impossible situations dictated by the laws of nature. Since a picture is worth a thousand words, here are a couple of graphs that will make this clearer. Looks like we peaked in 2006 at 84.678 million BPD, and we've been on a level plateau ever since. We often hear from people who think that we will just discover more or go drill offshore or in Siberia. And indeed, new discoveries are being made, new technologies are coming online, and we are drilling in deep seas and exotic frozen wastelands. But look at this next chart. Our production passed discoveries way back in 1980! Stare at this chart for a while and think about its implications. You will see it again a couple of times below. World oil production peaked in 2005. Despite growing demand and an unprecedented increase in prices, oil production has fallen over the last three years. Oil is getting more expensive to produce, harder to find and there just isn't enough of it to keep up with demand. The simple truth is that cheap and easy oil is gone. For more, just Google or go to Wikipedia. This is not the end of the world, but it is the end of an era. I am doing my part to create a paradigm shift to a new way of thinking and a new way of living. We need to understand our root problems in order to respond with intelligent plans and actions. Understanding peak oil is essential to understanding what is going on in the financial markets, which is explained below. Information replaces fear. Actually Anita is really great here. While we're on commercial break, you can catch all her comments starting at 4:33. Just slide the buckle over to the left and have a listen. I'll tie this in with Jevons Paradox shortly. Up in the section entitled, Energy and Emergy (Embodied Energy), I wrote, Now that the stuff is getting more expensive we are starting to think in terms of conservation, curtailment, efficiency and renewables. Now, I will expand on that. Back in 1995 I felt really guilty about my own wildly extravagant energy use. I had just taken 5 months and flown around the world, blowing countless barrels of jet fuel in the process. So I launched a program of curtailment and cut my own energy use to the bone. This phase lasted for about 8 years. Then, sometime around 2003 I had one of those Eureka moments. You know … one of those moments where a little light bulb turns on in your head. What I realized was that whatever tiny amount of energy I saved by my conservation, was now available for someone else, somewhere in the world to burn up and waste! Since I'd been around the world, and all over the United States, I was well aware that well under 1% of the world's population, governments and corporations were engaging in any kind of conservation at all. So it dawned on me that whatever 1% of us saved, was simply getting blown by the other 99%! And this led me to realize that all the other green conscious conserving environmentalists like me, weren't really helping to save the world at all. All we were doing was saving money in our personal lives, and practicing for the day when we will all be forced to conserve, whether we like it or not! In economics, the Jevons Paradox (sometimes called the Jevons effect) is the proposition that technological progress that increases the efficiency with which a resource is used, tends to increase (rather than decrease) the rate of consumption of that resource. Eventually I came to realize that me and all my green conserving friends, and the entire environmental movement, while well intentioned and acting in good faith, might be doing more harm than good. Certainly we were not being effective on a worldwide scale. I realized that this was one of many reasons that we are taking 10 steps forward and 100 steps back. I felt a deep sadness to see how uninformed we are, and how our lack of information causes our best efforts to fail. This spurred me on to create Plan S, which is intentionally designed to defeat Jevons Paradox. It also caused me to do a 180 degree shift in my own attitudes towards conservation. I switched from focusing on conservation to creating Plan S, a new way of thinking and a worldwide paradigm shift. What I am explaining is almost unknown in the green movement. There is a tremendous amount of resistance to facing Jevons Paradox, for a variety of reasons. But I am by no means the only one who is talking about it. Certainly Anita Burke and Russell Means (in the YouTube clip above) understand that individual conservation is ineffectual. Other peak oil observers such as Matt Savinar, Ran Prieur, Carolyn Baker, Pat Murphy and Dmitri Orlov have also commented on this phenomenon in one way or another. Jevons Paradox is one of the least understood reasons why humanity has been spinning its wheels for the past 5 decades. So here is where hope enters the picture. In order to defeat Jevons Paradox, it is necessary for us to change together as a species. Conservation, curtailment, efficiency and renewables are fine for individuals who understand why they are taking these actions, namely for their personal benefit. But to benefit humanity at large, we must ALL curtail and conserve together. In other words, a one day paradigm shift is required. If all 6.7 billion of us take these actions together, then we will see a dramatic positive effect. This single day shift is a key element of Plan S. It's called S-Day. It's a day set by the power elites for a massive planetary shift. Everything will change, including the way we think, the way we use energy, our money system, where we get our food, how we travel, our laws and legal system, our educational system, our religious and scientific institutions, and hundreds of other details about everyday life. Yes, I hear you. I hear all of you. I can hear the cacophony now, right outside my window. It is just deafening! …………………. "Good heavens, our brother Henry must have lost his mind … he has slipped over the edge … he is collaborating with the enemy, the power elites no less! May God save his soul!" Before you sent that email or call, I want you to listen to me and listen well, since this is a watershed moment in my life, in all of our lives, in the course of our species' development, and in our personal relationship. It is time to forget all of our childish preconceived notions about how the world works, and understand that we are a very young, uninformed species. We have a lot to learn and it is time for us to grow up together. I do give thanks for the Internet, Google, Wikipedia and all of my teachers. We are surrounded by oceans of information. There is no longer any excuse to remain uninformed. Well ……. maybe you could say there isn't time to absorb it all. I'll grant you that! There is absolutely no known law of nature that prohibits humanity from experiencing a paradigm shift in a single day. I will get to the market crash here shortly, but you got me on a roll, and this is really important. I told you earlier that we can only think impossible, when something is prohibited by the laws of nature. So I really do want to hear from you if you know about a law of nature that I have missed. 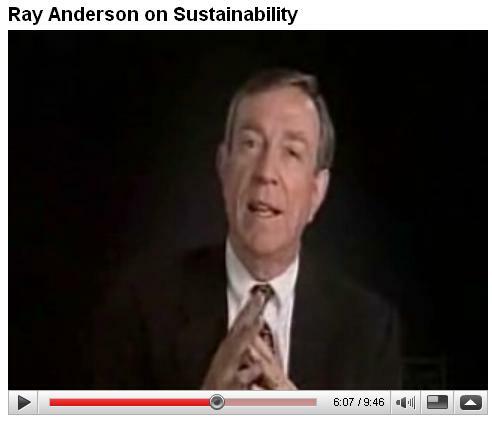 I've been a futurist and working on sustainability for 40 years and haven't found one yet. I really don't think there is one! If there was, I think I would have noticed it by now, don't you? We can do this my friends. We really can. I believe in our sustainable future, and I believe that the impossible can become possible. I've spent the last 5 years researching times that humans have done the impossible. I've opened my mind to learn why we can grow up … not why we can't! This is more of that new way of thinking Einstein mentions. 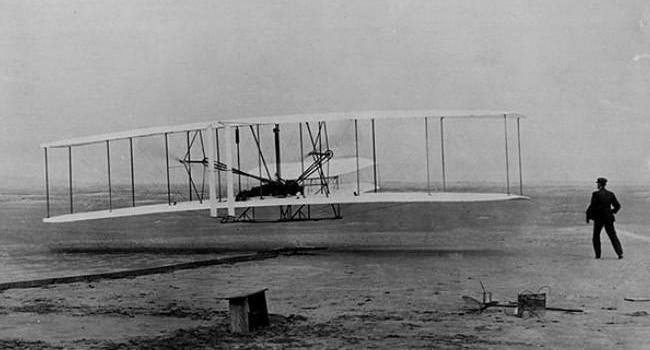 It is precisely the kind of thinking that got the Wright Brothers into the air on December 17th, 1903 at Kitty Hawk. They certainly didn't succeed by paying attention to a world that was laughing and scoffing at them, or by listening to famous scientists like Lord Kelvin and his inane pronouncement ("Heavier than air flying machines are impossible"). I cannot afford to put your doubts and skepticism into my brain. My cup is half full, not half empty. I have hundreds of stories, videos, websites, books and articles, that I can show you to sell you on the idea that a one day paradigm shift is possible. Likewise, I can show you hundreds of conscious, aware and awake members of the power elite on this planet who are open and receptive to plans and solutions that move us to sustainability. They are waking up rather quickly right now, this very week. It is 5:26 PM on Sunday (12 Oct 08) and I need to wrap this so I will share just a few of these with you. I hope I can get you to change your mind. 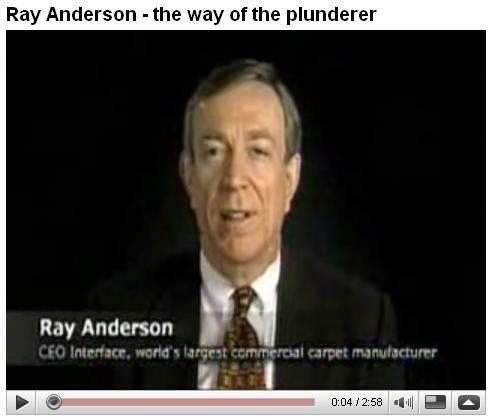 If you are sick of all the doom and gloom, and want a good shot of hope, check out these Ray Anderson clips. Here is a former plundering corporate CEO who woke up and has experienced a profound transformation and paradigm shift. Actually, I need to talk to this man about Plan S. These clips are from The Corporation. Ray is not alone. There are hundreds more like him. Now, lets look at a most amazing one day paradigm shift that occurred in Sweden on September 3d, 1967. This day was known as Dagen H (H-day). Sweden did H-day. Plan S is doing S-Day. I like it J . On this Sunday, an entire country switched from driving on the left to driving on the right side of the road. Here's another more detailed article on Dagen H, that states, "… Swedish road users had been living with left side traffic for 233 years!" And finally, here is a short list of people you can Google from the world's wealthy and power elite, whom I believe would support Plan S. I need help bringing it to their attention along with hundreds of other progressive minded movers and shakers who are just as sick of the status quo as you and I are! The jig is up folks. My mind belongs to me, and this is what I have chosen to do with it. Your mind belongs to you, and you alone control it. You also have choices. I need people to join me in this important work. I am inviting you to join me in making Plan S, S-Day, paradigm shift, a sustainable future, and a new way of thinking, a reality. Sorry that took so long. Now that I've laid all that essential groundwork, I can explain what's going on in the financial markets, and what Plan S proposes to do about it. I will explain how a sustainable currency and economy can be created. Then I will ask you to join me in ACTION. Also, Wikipedia has a good article on the History of Money. According to this article, people have been trading with money like items such as shell or ivory jewelry for 100,000 years. Also, Richard Heinberg wrote an article in 2004 called The Endangered US Dollar. It provides an excellent history, and I've excerpted this article down below. Before we can understand our money problems and how to fix them, we need to understand resources and how money and resources are related. Plan S proposes a resource based economy, which will use money and prices to self-regulate and preserve our resource base. What IS REAL? Not money! Humans have done fine for millions of years without any money. Even after we started agriculture 10,000 years ago, it was another 5,000 years until money evolved (about 5,000 years ago). So what was real during those first couple million years with no money? material resources: matter and energy. The entire physical universe is made up of matter and energy. Economies were local, based on gift and barter. no need for money. If it had existed there would have been nowhere to spend it! Matter and energy were here before humans, even before life was here (almost 4 billion years ago). Matter and energy will still be here after humans and life are gone, even after our solar system is gone, there will be matter and energy in the universe (billions of years hence). We use matter and energy every moment, both in our bodies and our daily lives. Without them, we die. So what IS REAL? Matter and energy (not money). When money evolved 5,000 years ago economies were very localized. Initially, there was no need for money to serve any purposes other than the classic ones: a means of exchange, and a store of value. Money was a convenience, invented to accommodate expanding regional economies, and simplify exchanges that were difficult with barter. Resource depletion (matter and energy), was not a concern for 5,000 years. Until 1900, there were lots more resources than people to use them up. This was true by many orders of magnitude (i.e. powers of ten)! Our resource base is a term used here to refer to all the matter and highly concentrated energy supplies in the earth's crust. We refer to it in colloquial speech as the material plane or stuff. This could turn into a physics lesson which I would like to avoid. I'll just cover the basics that concern us in solving our money problems. My research shows that humans are likely to inhabit the earth for thousands and possibly millions of generations. I believe we have a moral responsibility to leave an inhabitable planet for all of these future generations, not just the next few. I hope you agree with me on this point. In order to do this, we need to pass on a usable resource base. We need to understand matter and energy, what they are, and how to use them responsibly, and not use them up, damage them or waste them. In order to understand the matter in the earth, check out this article at NewScientist.com: Earth's natural wealth: an audit. You'll see three charts, all of which can be clicked on and enlarged. Be sure to enlarge the bottom one. It gives a great snapshot of our strategic material resources, how much is left, and how long it will last. I'm sure there are similar charts for our energy supplies. This chart does show Uranium, but it doesn't show our non-renewable fossil fuels. If any of you know of a good chart showing fossil fuels, please let me know and I'll include it here. In everyday speech, when we refer to stuff or the material plane we usually don't think of energy as part of that, because it is usually invisible. Our energy supplies however are just as important a part of our resource base, as our physical stuff. It used to be that paper money had gold or silver backing. This meant that the money was actually a receipt and could be redeemed for the underlying metal. However since 1971, all the world's money has been fiat currency, which means there is no material backing for the money at all. It is simply backed by "the full faith and credit of the government" that issued it. These currency systems actually encourage the destruction of our resource base. What Plan S proposes is a new resource based currency, that is backed by the earth's entire resource base. In order to do this, a thorough geological survey is required. I believe this has already been done. A resource based currency encourages the preservation of our resource base. And while I'm discussing energy, I want to point out a misconception when it comes to so called renewable or alternative energy. Regardless of what we call it, all forms of energy have certain things in common. The classic definition of energy is the capacity to do work. It's that simple. Energy is measured using units that many of us are familiar with, such as: calorie, kilocalorie, kilowatt-hour, joule, BTU. Whether a calorie of energy comes from a renewable or non-renewable source, it is still a calorie. In both cases, that calorie will do exactly the same amount of work. With no user manuals, humanity was and continues to be uninformed. Money was not invented. It just evolved slowly over time. There was no way for money's creators to foresee and anticipate problems that might crop up in the far distant and unforeseeable future. Money's creators did the best they could under the circumstances. For 5,000 years, money has been inherently flawed, from the perspective of preserving our resource base. Several civilizations have collapsed due in part to resource exhaustion (Diamond, Tainter, Toynbee). Precious metals (gold, silver, copper, nickel) have prevailed as money, since they are: scarce, inert, easily divisible, storable and easily transportable. While copper is not inert, it meets the other criteria. During this precious metals era, money was flawed since it could be debased (precious metals mixed with base metals). Coins were also "shaved", which led to adding ribs to the edges of coins. Debasing of currencies has a long history. This is due to the human nature concepts of more, greed, gambling, etc. These inherited tendencies have been explained by Evolutionary Psychology. Fractional Reserve Banking was also born long ago, prior to the invention of the printing press. This was the earliest paper money, and it appeared in the form of notes or receipts for deposits. This was also the first instance of debt based money, and yet another flaw in early currency systems. Despite all these flaws, things worked satisfactorily prior to printed paper money, and now electronic money. With the invention of the printing press, money problems increased exponentially. Printing lots of paper money (with no material backing) is still called debasing the currency. This is a holdover from the old days of mixing in base metals, since the end result is the same. The money supply gets expanded and prices of goods and services are forced upwards. World population begins to increase gradually in the coal/steam era, circa 1700-1900. See population chart below. In the early days of the printing press, resource depletion was still not a concern. There were still lots more resources than increasing population to use them up (although certainly not as great as 5,000 years ago). The biggest pollution problem is not smog, but horse manure in the streets. Cholera in cities … people flee to the countryside. The automobile is hailed as clean transportation. "Let's clean up our cities!" 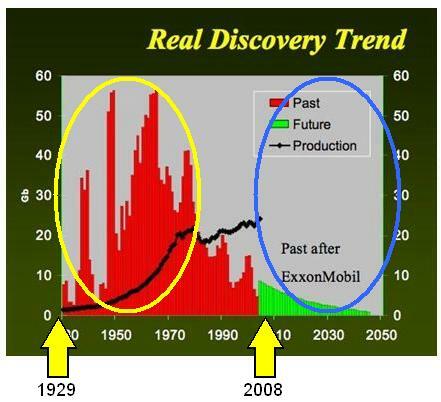 early 20th century: No one can foresee resource depletion. The world population is under 2 billion. Energy and material resources are still abundant. Oil is like water, almost too cheap to meter. Humanity needed a new money system circa 1900, to avoid depleting our resource base, i.e. a resource based economy. However, no one alive could have foreseen this, due to being uninformed. A new currency would have been based on all natural resources and energy stocks, however no comprehensive geological survey existed yet. Computers and the Internet were non-existent . We were still living in an information dark age. We needed a resource based economy. What follows is what we got by default instead L !! 1890, early Data Processing appears. Unit Record Equipment, punched cards created for USA's 1890 census. This is the precursor to the computer and Electronic Money. I suspect that various forms of electronic money existed, based in punched card/unit record systems, however haven't researched it. Would you like to? Let me know what you find out. 1944, Bretton Woods System starts. The world is on the Gold Standard & fixed exchange rates. 1 oz of gold = $35 US worldwide. 1956, Computer based electronic banking starts with Stanford Research Institute and Bank of America (ERMA). See also, ERMA and MICR: the Origins of Electronic Banking. When does the world's electronic money supply overtake coin and paper supply? What percentage of world's money is electronic vs. coin/paper today? Research it and let me know what you find out. 1971, Bretton Woods System ends, Gold Standard ends. The world is now all on 100% Fiat Currency with floating exchange rates. Foreign exchange currency trading starts. 1973, Chicago Board Options Exchange (CBOE), first stock options exchange. Start expansion of derivatives, made possible by expanding computing power in financial institutions. Before we go on, take a quick look at the ten years shown above from 1963 thru 1973 in relation to the oil discovery chart we saw earlier in the Peak Oil section. I've marked it up a bit, and will provide more detailed analysis below in the section, Is This The Great Depression Revisited? 1975, Saudi Arabia agrees to sell their oil exclusively in U.S. dollars. Thus, the dollar becomes backed not by gold, but by oil. 1992, The Adapted Mind: Evolutionary Psychology and the Generation of Culture published. The foundation of E.P. is laid. 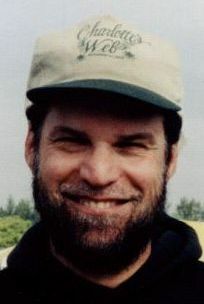 1997, Jay Hanson, starts world's oldest peak oil website, www.dieoff.org. Site is influenced by E.P. 2007, Foreign exchange is the world's largest trading market, having reached volume of $4 trillion USD per day in April, 2007. It has become the largest 24/7 virtual gambling casino in the world. Foreign exchange is 50 to 100 times the size of the world's commodities exchange. I couldn't find exact recent numbers. Do you know, or would you like to research it? 2008, September 30th, 2008, United States public debt reaches $10 trillion for the first time in history. This is about $33,000 per citizen. Unfunded public debt (Social Security, Medicare, etc.) is $59 trillion. 2008, World population: 6.7 billion and rising. Thanks for the clock, Peter! 2008, September, 2008, derivatives bubble bursts. Collapse of the world's non-resource based economy begins. In this section, I've assembled seven different views on what's going on in the present era. These views underscore my belief that a totally new economic system, a resource based economy, is needed. The key issues underlying the recent market upheavals are peak oil, derivatives, and money created from loans/debt (i.e. fractional reserve banking). These issues are discussed by various authors and I'll add my comments. Up above, I said that I would focus on positive solutions, and asked you to affix your PMA (positive mental attitude) cap before diving in. I think it's time to remind you of that now. Most of the people I'll be quoting here, are unaware of the three brain-mind disciplines I spent so much energy on above. Or if aware, they have forgotten. Please cut them some slack. I believe everyone is honestly doing the best job they can, given the information at hand. I will admit that I find it difficult to spend a lot of time looking at this stuff. 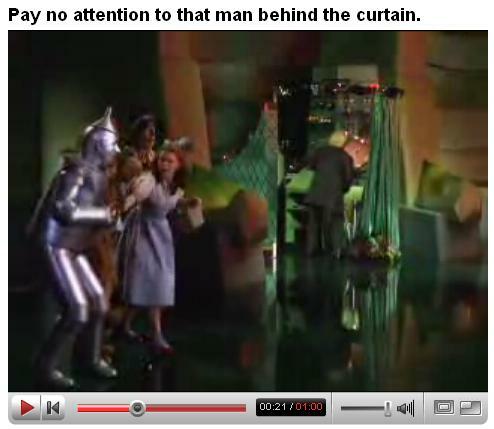 You will have plenty of opportunity to see the effects of our uninformed minds here. You will see human nature at work over millennia. Some of these behaviors could be called, extincting, asset stripping, depletion, gambling, cheating, or deception. These are all explained by Evolutionary Psychology. We need to become informed and grow up as a species. I have to keep reminding myself that Plan S and a resource based economy is possible. I hope you will too. The important thing is to become aware of the information here. Then, we can move on to the final section on solution, and take ACTION. Several observers have noticed that the world's present global economy has been built on a supply of cheap petroleum over the past 100 years. This trend really took off after 1963, as explained below. There has been a steady expansion of the world money supply and debt at all levels of the financial system. This has all been based on the idea of infinite growth … growth in population, growth in energy, growth in productivity, and so on. According to Mike Ruppert, the derivatives bubble is now in excess of $450 trillion dollars. That bubble is bursting as I write these words. What goes up, comes down. Dr. Colin J. Campbell, is a retired British petroleum geologist, and pioneer of the peak oil movement. It is becoming evident that the financial and investment community begins to accept the reality of Peak Oil, which ends the First Half of the Age of Oil. They accept that banks created capital during this epoch by lending more than they had on deposit, being confident that Tomorrow’s Expansion, fuelled by cheap oil-based energy, was adequate collateral for Today's Debt. The scene is set for the Second Great Depression, but the conservatism and outdated mindset of institutional investors, together with the momentum of the massive flows of institutional money they are required to place, may help to diminish the sense of panic that a vision of reality might impose. On the other hand, the very momentum of the flow may cause a greater deluge when the foundations of the dam finally crumble. It is a situation without precedent. The First Half of the Age of Oil now closes. It lasted 150 years and saw the rapid expansion of industry, transport, trade, agriculture and financial capital, allowing the population to expand six-fold. The financial capital was created by banks with confidence that Tomorrow’s Expansion, fuelled by oil-based energy, was adequate collateral for To-day’s Debt. The Second Half of the Age of Oil now dawns, and will be marked by the decline of oil and all that depends on it, including financial capital. It heralds the collapse of the present Financial System, and related political structures, speaking of a Second Great Depression. The survivors, whose numbers may not greatly exceed those of the pre-oil age, may find silver linings as they rediscover rural living, regionalism, diversity and local markets, coming to live in better harmony with themselves, each other, and the environment in which Nature has ordained them to live. But the transition will be a time of great tension, including international tension as consumers vie for access to dwindling supplies, and as city life becomes unsustainable. With stocks rising four-fold over the previous decade, it had all the characteristics of a bubble, with stocks in new technologies like radio leading the way up. With lax regulation and few rules on insider trading, dealers were also able to "ramp up" shares, and holding companies built up positions in other companies without putting up any equity of their own. Individuals were also able to buy stocks on "margin" by borrowing the money against their other share holdings. The Wall Street crash corresponded to a sharp decline in US economic output, which eventually spread around the world. Let's take a look once again at the oil discovery versus production chart we've seen a couple of times above. I've copied the dates from 1963 thru 1973 down here from a few pages ago. The first obvious difference can be seen in the two ovals. Obviously, the world had enormous available energy to recover with, after the stock market finally bottomed out in 1932 (after an 89% plunge). As you can see, this is a mirror opposite of the current situation. We can attempt to switch to renewables, but the big gotcha is this. Where does the energy come from to change over the infrastructure? The emergy analysis (see Emergy section above) here is not a good one. In addition, renewables will not support 6.7 billion people, since the earth's carrying capacity is more like 500 million. We cannot expect the kind of recovery that was seen during WW II or during the prosperous 1950's-1960's era. The second observation isn't quite as obvious. I find it interesting that the USA peaked in 1970 and the following year our gold was being drained from Fort Knox, spurring President Nixon to abandon the gold standard. Nixon made this decision without consulting members of the international monetary system or the State Department. This was immediately followed by a couple of large gambling casinos opening up in the form of the Forex and the CBOE. The Forex has become the largest casino in the world, trading $4 trillion daily. And yet a third observation. Is it some coincidence that as world oil discoveries are peaking in 1964, that precious metals are being withdrawn from the USA's coinage and backing of paper currency? In a couple years we went from the discipline of a precious metals backed currency to a fiat currency! My guess is that there is indeed a cause and effect relationship, but that's only my guess. I would like to know if anyone can document this further? My conclusion is that while the financial situations in 1929 and 2008 have some obvious similarities, that the underlying energy situation is completely opposite. Once again, this is no time for complacency. Rather than talking about the end of the world I am talking about implementing Plan S, and asking for your help and support. This is a time for ACTION. Fractional reserve banking is the practice in which banks keep only a fraction of the value of their bank notes and demand deposits in reserve, and invest the balance in interest earning assets, while maintaining the obligation to redeem all bank notes and demand deposits upon demand. This practice is universal in modern banking. At one time, people deposited gold coins and silver coins at goldsmiths, receiving in turn a note for their deposit. Once these notes became a trusted medium of exchange an early form of paper money was born, in the form of the goldsmiths' notes. As the notes were used directly in trade, the goldsmiths noticed that people would not usually redeem all their notes at the same time, and saw the opportunity to invest coin reserves in interest-bearing loans and bills. This left the goldsmiths with more notes on issue than reserves to pay them with. This generated income—a process that altered their role from passive guardians of bullion charging fees for safe storage, to interest-paying and earning banks. Fractional reserve banking was born. However, if creditors (note holders of gold originally deposited) lost faith in the ability of a bank to redeem their notes, many would try to redeem their notes at the same time. If in response a bank could not raise enough funds by calling in loans or selling bills, it either went into insolvency or defaulted on its notes. Such a situation is called a bank run and caused the demise of many early banks. In my opinion, F.R.B. is highly immoral, and violates natural laws. Have you ever tried loaning something you didn't have? Well, it's one of those things that I would call impossible. Indeed, bankers have found deceptive ways to do this for a long time, and in some cases, the consequences have been severe. The reason it has worked to some extent during the 20th century, is because of expanding cheap oil supplies. As Richard Heinberg says, The Party's Over. Earlier, at the beginning of the Money Overview section, I mentioned a 47 minute documentary, Money As Debt. It has a good explanation of F.R.B. Also, Richard Heinberg's article below, The Endangered US Dollar explains F.R.B. In the resource based economy I'm proposing in Plan S, F.R.B. would be strictly illegal. Richard Heinberg is a prolific author of Peak Oil books. He is a senior fellow at the Post Carbon Institute, Sebastopol, California. This article is so informative and insightful, I recommend you read it all. He makes a detailed case, showing many links between oil, and the U.S. dollar. I will excerpt his most important stuff however. By May 1971 even the Bank of England was demanding gold for dollars, and the drain on US reserves had become intolerable. Nixon did the only thing he could under the circumstances: he abandoned the Gold Exchange program altogether, and in August of that year a system of floating currencies was instituted. At about the same time this was happening (1975), the Saudis agreed to export their oil for US dollars exclusively. Soon OPEC as a whole adopted the rule. Now, as a result, the dollar was backed not by gold but, in effect, by oil. [emphasis mine … HTF] Had the US permitted the Saudis to nationalize their oil industry in return for this extraordinary favor? Because the Saudi royal family and the oil companies are all notoriously tight-lipped, we may never know. As Engdahl points out, the petrodollar era was characterized by the US attempt to slow its geopolitical decline (arising from imperial over-extension abroad and resource depletion at home) by making the dollar a hegemonic currency. There is no solution to any of this - in that there is nothing we can do to make the problems go away. Many thanks to Richard for all he's done. He's great! But look closely at his words here: "no solution" … "nothing we can do". This sounds a lot like "impossible", doesn't it? This is not that new way of thinking we need. There is no law that prohibits us from solving our problems, and there's plenty we can do! I propose Plan S, a paradigm shift in one day, which includes installing a resource based economy. Indeed, our problems will not just go away, as in taking some magic wonder pill. However humanity can change course and start moving in the direction of sustainability. We can decide to grow up as a species. We can think in a new way. See my solution section down below. but money has become a tool universally used by humans to gain and hold access to resources, and as such it introduces its own set of possibilities and perils. Yes, because money as we have known it for the last 5,000 years was never designed intentionally to help preserve our planet's resource base, so it has indeed been a perilous journey. We have been a young, uninformed species. But Richard, we have just hashed over the past. There is no law that prevents us from using our powerful minds to create plans and take action, to support our sustainable future! Warren Buffett is the richest person in the world, with an estimated net worth of $62 billion (first half of 2008). He is the CEO of Berkshire Hathaway in Omaha, Nebraska. Warren publishes a letter once a year to his shareholders, usually around the end of February. It is written in Warren's casual, folksy style, and is widely anticipated by the financial community. This is from his February 21, 2003 yearly letter. This is what he had to say about the derivatives genie back then. Michael Ruppert is an investigative journalist, with a focus on Peak Oil. He founded www.fromthewilderness.com, and is now in semi-retirement in Los Angeles. On September 17, 2008 Mike came out of retirement and wrote this article, Now is the Time -- There is Hope, which I have excerpted below. I just noticed that he also wrote an article on September 29, 2008, What Really Happened Today, in which he talks about the failed bailout bill in the USA on that date. All of this has everything to do with Peak Oil. The fact that we are going to have a fast crash now is the best possible outcome because it has given us a unique and perhaps fleeting moment -- a window -- to change things. There is plenty left to salvage. Energy is the economy. Money is useless without energy. This is the derivatives bubble popping. That bubble is now in excess of $450 trillion dollars. I warned about it when I returned from Moscow in 2001 and again in our first-ever economic alert on September 9, 2001. There isn't enough cash in the world to cover the "monthly minimum payments" on $450 trillion. There is no victory until the paradigm is broken. Until we change the way money works, we change nothing. [emphasis mine … HTF] Right now, the entire economic paradigm of infinite growth is vulnerable, weak, and exposed. Now, we who cried as voices in the wilderness, have a chance to actually reach the minds of those we love but who have refused to listen. My plan for paradigm shift and long term sustainability is Plan S. It includes dozens of individual and related component parts. My purpose in this paper is to focus on the recent upheavals in world financial markets. So this section is about just that one component part of Plan S.
I have given you the history, and shown how over 5,000 years, we have come to this moment of destiny. Peak oil, a dwindling and damaged resource base, huge debts, derivatives, paper and electronic money, and an ancient, antiquated currency and economic system have all come face to face. We are seeing the result in our lifetimes. There is no way to fix or tweak the old system. Here is the unvarnished truth: It is time to abandon an ancient sinking ship, and build a brand new one, designed for the needs of a modern global economy. 5,000 years of our old money/currency does not represent or mirror the world's resource base. Our ancient money consisted of coins made from precious metals, and receipts for coins on deposit. We allowed this ancient money supply to become grossly inflated via non-precious metal currencies, created with printing presses and electronic computers. None of this money reflects the world's resource base. Prices of goods and services have been totally disconnected from our resource base for 5,000 years. Prices have reflected costs of extraction and manufacturing, but they have rarely (likely never) included the costs of restoring our resource base. As a result, we live on a planet stripped of natural resources, and we are leaving little to future unborn generations. As with the debasing of currencies, the human nature attributes of more, greed, gambling, etc., explained by E.P., have historically caused local extinctions (Dodo/Mauritius, Moa/New Zealand), resource stripping (Easter Island, China, etc. ), and similar issues documented by Jared Diamond in his © 2004 book, Collapse. This is not a global problem when the resource base far exceeds by many orders of magnitude, a population's ability to extinct, strip, or deplete it. This becomes a global problem when world population skyrockets, and starts depleting the resource base in just a few generations. This is what has happened in the last 100 years. When these problems have occurred in the past, they have been extremely localized, typically to an island ecosystem or a local economy. During the 20th century, the flaws mentioned above have gotten out of control, due to exploding available energy from fossil fuels & uranium. This has caused the world's food supply and human population to explode. The result has been a resource base, unable to survive expanded population, genetically programmed (ref. E.P., human nature) to extinct, strip, and deplete. As a result, we are now at Peak Everything, not just Peak Oil. Reference: Earth's Natural Wealth. Now that we've finally become more informed (after 5,000 yrs of being uninformed), we understand the root causes of the problem. We can now move to solution. Do we need money? Perhaps humanity should consider a return to barter. Since we've had a global economy for 500 years, it seems like a good idea to have a working global economic system. Without such a system, humanity would be forced back to extremely localized trading. Even regional trading would come to a screeching halt. So my conclusion is that we do need money and a global economic system. For 5,000 years, we've had money that had only two attributes: a means of exchange and a store of value. Now, we see a need for a third attribute of money: a proxy for the earth's resource base … i.e. a resource based currency. We also see a need for an economic system that sets prices for goods and services at levels which automatically assist in preservation of the earth's resource base. This is necessary to avoid our inherent tendencies to extinct, strip and deplete this resource base. These tendencies are part of our genetically determined human nature and must be held in check. In other words, we need a resource based economy. This economy starts with a resource based currency, and then adds a pricing layer. Prices are set to include the cost of restoring our resource base, so we can preserve and pass resources on to future generations, for as long as humanity survives here on earth. In the section above on the Limbic System, I mentioned that science and religion are both essential to our sustainable future. They will need to cooperate and play a major role in educating humanity about the root causes of our problems. The resource based economy will be grounded in both the new currency and also a new way of thinking about the material and spiritual planes. This all connects in with how humans find a sense of happiness and fulfillment. Creating this new currency and economy will be extremely difficult and challenging. Humanity will be stepping out into unknown, uncharted territory. This challenge will be similar to solving the longitude problem, learning to fly, or going to the moon. We solved each of those challenges and hundreds of others. We can solve this one too. We will find our best solution by creating an international contest with a substantial prize. This was done in England to solve the longitude problem during the 18th century. There are many other precedents for major national and international contests. We can approach this problem with a similar zeal as we did to defeat fascism/Hitler, going to the moon (the Kennedy challenge), eradicating polio, and dozens of other extremely difficult challenges. We must bring the best minds of our 6.7 billion forth, to tackle and find solutions to our greatest challenges. Humanity has prevailed and succeeded before. There is nothing that stands in our way now that we have the information we need, and Plan S, a plan of ACTION. Once again, I hear your doubts, your disbelief, and your skepticism that this resource based economy, while admittedly a novel idea, has any more than a snowball's chance in hell of ever becoming a reality. Once again, I would like your permission to sell you on what is possible, not what is impossible. 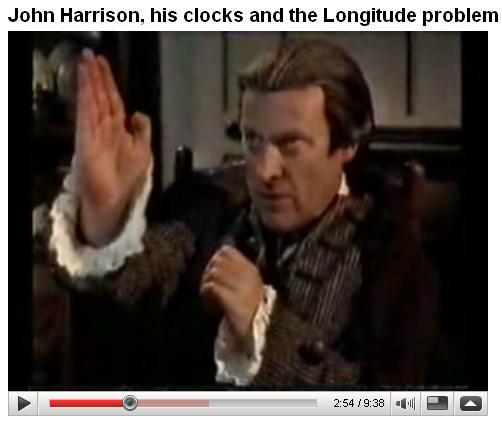 I have mentioned a British fellow named John Harrison, and the longitude problem. This is an example of one of humanity's great technological problems of days past. Far too many ships were being lost at sea, due to poor navigational methods. Finding a method of determining longitude took centuries and involved some of the world's greatest scientific minds. In fact, this was of such paramount importance, that the British government passed an Act of Parliament in 1714, awarding a prize of up to 20,000 to anyone who could solve the problem. This is the same sort of problem we are facing today with this ancient so called "economic system" that's currently falling apart at the seams. Here is a 10 minute clip documenting this quest. You will see the world's greatest scientist at the time, Isaac Newton at 2:02 expressing his doubts. Fortunately, John Harrison did not hear him, and continued on. This was his life's work. Now, you decide. Are we going to continue living with this totally inadequate, archaic, thing we call an economy? Or are we going to come together and create a new resource based economy, that fulfills our needs as a global civilization? As I have shown, we have solved our "impossible" problems many times before. We certainly can do it again. The only thing that stands in our way is our collective minds. What is your mind saying right now? This is your choice. I am only one person. I cannot do this alone. I am asking for your help. Well, that about does it for this week, anyway. Thank you so much for reading (or listening). Remember friends, no action, no results. Please return to the first section of this paper, Action! Start Here! You know what to do!